What do an outdoor adventurer and a jazz musician have in common? As it turns out, only one thing: a woman named Libby. 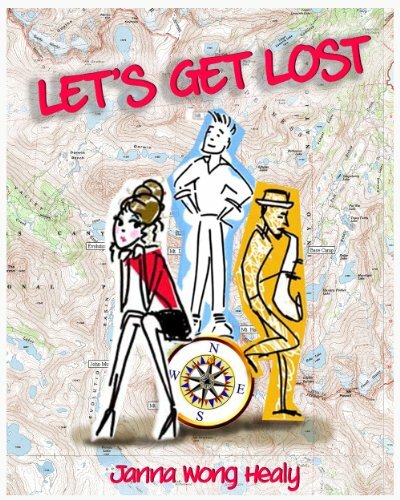 In LET'S GET LOST, successful business executive Libby is told that her outdoor adventurer fianc� may be having an affair so she follows him to the mountains to spy on him. Meanwhile, jazz musician Kit falls into a deep funk after his closest friend and band mate moves to Europe so his sister sends him to the mountains to get away from it all. When Libby gets lost and is rescued by Kit, bickering and comical misadventures ensue. Will Libby and Kit ever realize how much they need each other? About Janna Wong Healy (Author) : Janna Wong Healy is a published author. Published credits of Janna Wong Healy include Let's Get Lost and Mariana Wong's Summer of Love.